"After experiments where we look at switching gene potential, gene expression, regulatory networks, we are finding these sensors", she said. READ MORE: Is Pentagon Investing in AI Technology That Can Find Hidden Nuclear Missiles? Currently, the US Navy relies on hardware-based sensors, which are expensive to deploy around the world, forcing it to limit their usage to protecting aircraft carriers and US coasts. Earlier, NRL announced it would look for existing marine organisms that can properly react to the presence of submarines near them, without tampering with their genome. "The PALS programme aims to leverage the biological maritime ecosystem across a wide array of marine environments […] to find M/UUV [Manned/Unmanned Underwater Vessels] targets", the programme description read in March 2018. The US military has been studying marine lifeforms since 1960, when the US Navy Marine Mammal Programme (NMMP) was launched in a bid to find military uses for marine life. The programme resulted in the creation of equipment and training programmes that were used to train dolphins and sea lions to locate underwater mines, protect harbours, and to assist in object recovery missions. 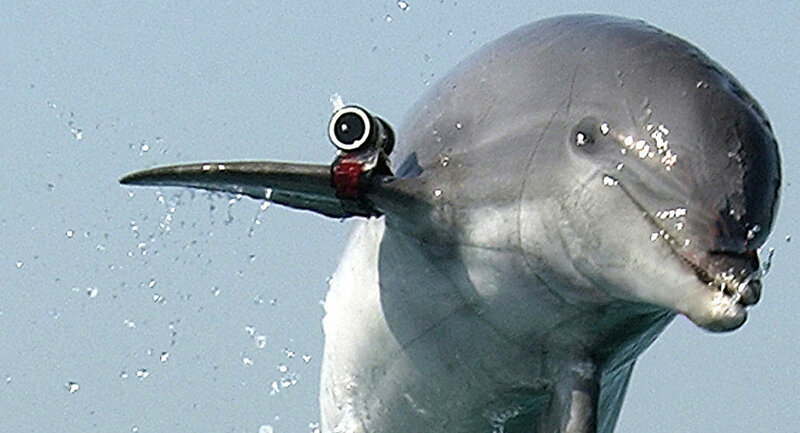 In 2012 it was announced that starting in 2017, the US would switch to using automated robots to conduct mine sweeps, instead of marine mammals.